Momo-No-ki is established as the first of it's kind in Shropshire creating innovative East meets West dishes, priding itself where possible on using local producers and giving Asian flavours there own unique twist - Using Foraged bits from @foragefinefoods, rare breed pork from @middlefarm1 and artisan bread from @swiftsbakery the the team of intuitive chefs strive to create innovative plates that excite and inspire. After travelling for 12 years to various parts of the globe and developing a taste for photography from international inspirations, Majella decided to return to college in London. This is where she received 4 distinctions in Photography itself and post-production. She is highly skilled in photoshop and her passion for photography is incomparable. Previous Clients Include Daniel Clifford at Midsummer House, Arran Shaw at 34 Windsor Street, Japanese restuarant Chotto Matte and Michelin starred Yauatcha / Apero and Yauatcha London. Smokin’ Salop are a competition BBQ team from Shrewsbury, Shropshire. Joe Allwood created the team in 2014 when he decided to take his love of barbecueing to the next level. Competition BBQ generally revolves around American style low and slow smoking. Big hunks of meat such as pork shoulders and beef briskets on the BBQ pits for 10 hours or more! At their debut in 2014, Smokin’ Salop won ‘Best Newcomer’ award, going on to win two more trophies in Bristol and Brighton. In May 2015 the team competed in Grillstock Festival in Manchester and won two categories, Chicken and Burger, and finished 4th overall. As the winners of the Burger category, Smokin’ Salop qualified for a place at the World Food Championships in Florida in November 2015. 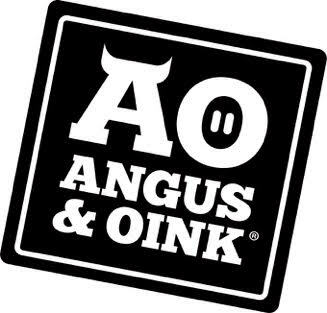 The A&O story started in South America, living, working and tasting a continent. Eating and learning how to eat from simple street food stands in Trinidad, hole in the wall wood fired BBQ joints in Texas, butcher shops in Louisiana and restaurants under a mango tree in Mexico. We learned how to cook food with fire and smoke, how to use chillies and found exhilaration and happiness from within. ​Our mission is simple, deliver flavour with a kick! Bringing a new wave of authenticity, of righteous spiciness that adds depth to good food. Real flavour exists! Don’t be fooled by the mediocre, grasp the new wave, hang on for the ride and let your mouths live. Rub ME, Smoke Me, Sauce Me, Eat Me!!! Netherton Foundry produce a multitude of spun and cast iron items from Ironbridge in South Shropshire, once the birthplace of the Industrial Revolution. Inspired by 18th century techniques and using only local materials where possible the family run business has achieved International acclaim with their innovative products. "For us perfection is leaving the makers finger prints, marks and scratches on the work. We want our work to be a talking point around the amazing food it frames"
Through a shared love of rustic cooking and sustainable wood Lee and Jeff scour the world for the most interesting and beautiful wood to transform into some of the oldest and unique chopping boards on the planet! A world first in homeware! - For something utterly special and unique they have their signature range. These are not your average boards with some dating back to 2564BC (4580yrs) - amongst the rarest woods on the planet! Join a well established network of Industry professionals and suppliers at the largest hospitality community online. 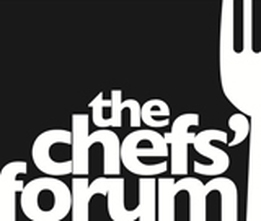 Attend events and demos with leading Chefs and shape the future of your Industry. Yes Chef! is a grass roots community and blog for all things Chef. Started recently by Brian Powlett the aim is to provide a casual sounding board where professionals can share ideas and voice the many grievances that go with the trade! ​Few people understand what it takes to work in a professional kitchen. The hours, commitment, and passion required to be part of a tight knit team; that every kitchen is different and picking the right candidate for a team is vital to making sure service runs smoothly. Whether it is front of house or in the kitchen. "Boasting decades of experience, not as recruitment consultants but as chefs, we know what it takes. Just like getting the balance right in a meal, we understand how important it is to match the right person to the right role. From commis chef jobs through to general managers".